A closer examination of the fossilised remains of a 110-million-year-old snake-like creature suggests that snakes evolved in the water, and not on land as previous research suggests. 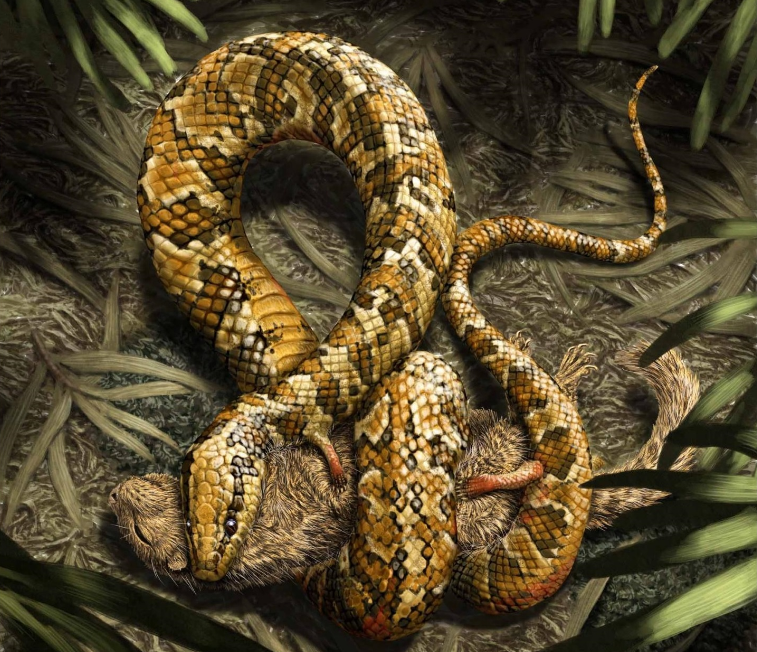 Scientists aren’t sure if snakes evolved on land or in the water, but the recent discovery of a remarkable fossil in Brazil seemed to suggest a terrestrial origin story. Last year, a group of scientists led by Nicholas R. Longrich put out a study arguing that this snake-like creature, named Tetrapdophis amplectus, was a terrestrial animal. But a new study published in Cretaceous Research challenges this assumption. 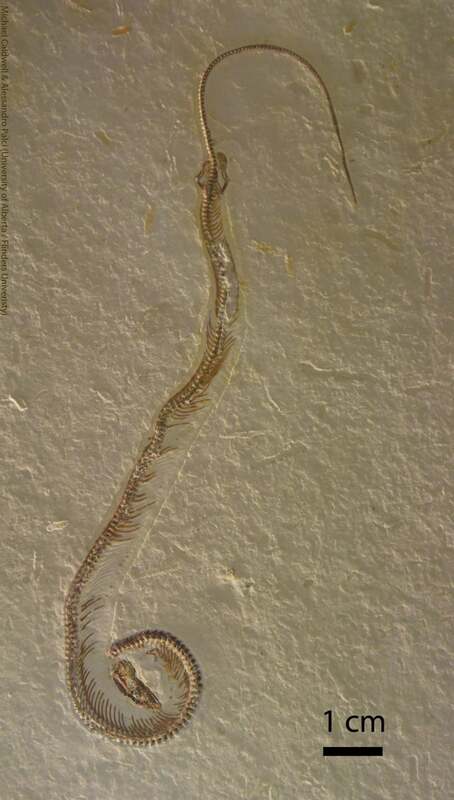 The authors argue that T. amplectus was more closely related to aquatic lizards, and that these snake-like forebears evolved their long bodies for eel-like swimming. Aside from its four paddle-like limbs, this Cretaceous-era animal had a head and body that closely resembled those of modern snakes. But it also featured a short tail, which the earlier research suggested was indicative of a creature capable of burrowing into the ground. According to this interpretation, T. amplectus was a worm-like digger that evolved to live underground. The authors said its tiny arms and legs weren’t used for locomotion, but for grasping on to prey. But Robert Reisz and his colleagues at the University of Toronto at Mississauga have interpreted the fossil a bit differently. “The limbs are most striking in being short, but paddle shaped, ideally suited for swimming and steering, but definitely not for digging,” he told Gizmodo. “I think this animal was quite happy in the water.” What’s more, Reisz says it shares features with aquatic lizards from the Late Cretaceous. Reisz says that this animal’s long, slender tail, along with its four slender legs, isn’t consistent with characteristics seen in burrowing snakes and lizards alive today. What’s more, its limb bones appear weak and poorly ossified, i.e. the process in which cartilage is transformed into bone. Reisz and his colleagues believe that the stubby little legs are highly specialised because of its shape, and not because of this animals’ small size. Plenty of animals develop long, slender bodies for swimming, not only snakes. Reisz points to fish, salamanders, and lots of extinct ancient amphibians and extinct and extant reptiles as examples. “There is, in fact, a group of ancient snake-like amphibians that went back to the water secondarily, only a few million years after vertebrates ventured for the first time on land,” he said. But as to why this animal abandoned aquatic life in favor of a limbless existence still remains a mystery.